Need more information? Check Availability? Have questions? Use this area to ask us anything! I will respond via the email you listed at my earliest convenience. Who is "In A Flash Photobooths"? "Memories in a flash that last a life time"
I started In A Flash Photobooths in order to provide a great service at a reasonable price. At In A Flash Photobooths we strive to make each and every event memorable and enjoyable. Our goal is to get every guest into the booth at least once and put a smile on all of their faces. In a flash also prints a copy of the photo for each guest who is in the session so no need to fight over who gets to keep the copies! Always searching for new props we promise a unique experience every time we are booked and who doesn't want to see grandma wearing a pink cowboy hat with a mustache!! In A Flash Photobooths proudly services a 70 mile radius in and around Jim Thorpe, Pennsylvania which includes and is not limited to Scranton, Wilkes-Barre, Lehigh Valley, Easton, Reading and of course my local counties of Carbon and Schuylkill! Here at In A Flash Photobooths we don't make you pay for every little add-on. With every event we promise all of the below as part of your initial charge. Most popular choice, unique and spacious! When you just want to be sleek and classic! Don't have the room? want to see everyone acting a fool? Then open-air is the way to go! 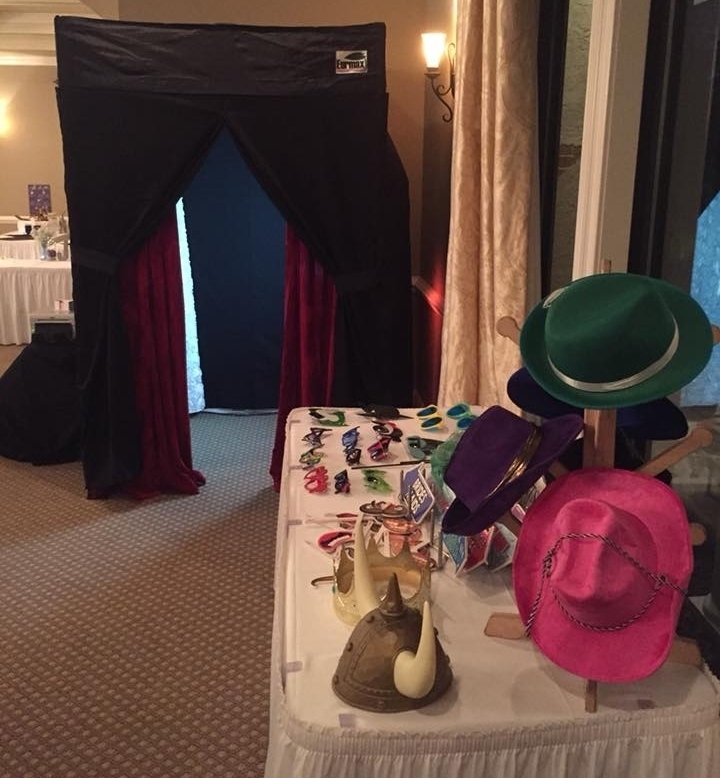 #1 choice for weddings - a photobooth will keep your guests entertained all night long. They'll make new memories during your big day - and take them home with them! A booth also improves flow and eliminates waiting by giving guests something fun to do while they're not eating or dancing. "As essential as a photographer or a DJ." Booths are increasingly popular at proms and school dances, one look at all the smiles and you'll see why. No more wallflowers - they'll be in the booth! An easy ice breaker and great way to get people together at your next conference, trade show, grand opening, customer appreciation day or other event. The booth is always the life of the party for all ages. Birthdays, Anniversaries, Sweet 16, Holidays, 'Mitzvahs, or the every popular "just because" parties. The best way to contact us is by clicking the button below and filling out the short form that will pop-up. This guarantees that i will have all the information i need to answer your questions sufficiently and promptly. Use this area to ask us anything!!! You can also click either link below to call or text us! *NOTE* if no answer please wait and leave a message! Photos from various past events!